One more data point before we get the actual data. A late surge of new voters helped Harris County achieve record early turnout and suggests that local registration drives paid off – although to which party’s benefit remains anyone’s guess until Tuesday night. 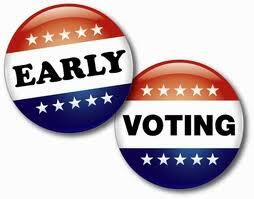 While partisan primary voters dominated the first week of early voting, new voters flocked to polls in the final days. These newcomers, who did not vote here in recent presidential election years, made up 22 percent of Harris County’s more than 977,000 early and mail voters, a Chronicle analysis of voter history shows. By early voting’s end Friday, the share of voters who participated in at least one of the last three presidential primaries dwindled to 56 percent from 68 percent. Brandon Rottinghaus, a UH political scientist, noted the geographic diversity of the county’s new voters, who include transplants to Harris County, newly registered voters and those who recently turned 18. I tend to find articles like this to be disappointing, because they don’t do what I would do, which is try to find a basis for comparison with the past. I regret that I was never able to complete the task of comparing the 2008 and 2012 vote rosters to get a handle for how many new voters there were in 2012 – that is, how many 2012 voters there were that had not voted in 2008 – because that would better enable me to make sense of the numbers that are provided here. How many 2012 and 2008 voters had partisan voting histories, how many had only general election histories, and how many were brand new? How many of those voters were early voters and how many were Election Day voters? The data is all easily available, but unfortunately it’s too big for Excel so I never did an analysis on it. I wish the Chron had done so, it would have told me a lot more than this story did. Not that this story didn’t have value – the maps are cool, if you’re into maps – it just wasn’t the story I wanted to read. So be it. I will be at the KTRK studio this evening, where if past experience is any guide I will spend several hours glued to my laptop with occasional interruptions to be asked questions by one of their reporters. So if you happen to be watching Channel 13 (or possibly its HD digital station), you might see my mug on your teevee. You have been warned. I don’t know exactly what my publication schedule will be for the next 24-48 hours, but I’ll put stuff up as I can, assuming I haven’t turned to stocking up canned goods and precious metals full-time.